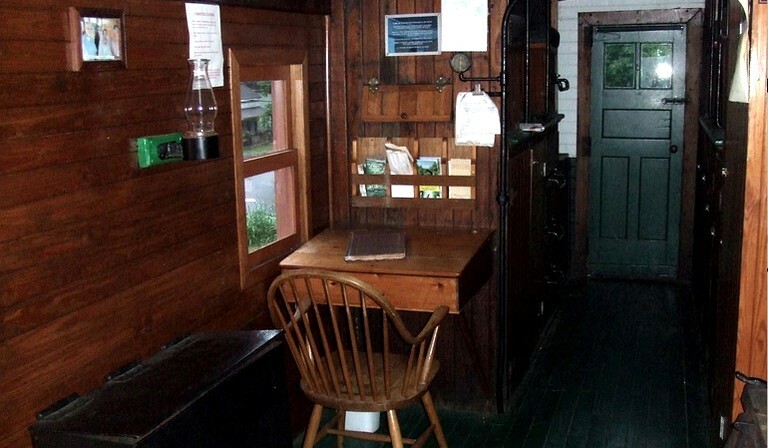 This 1919 wooden caboose is located right next to the CSX main railroad line in Chester, Massachussetts—perfect for a New England getaway! 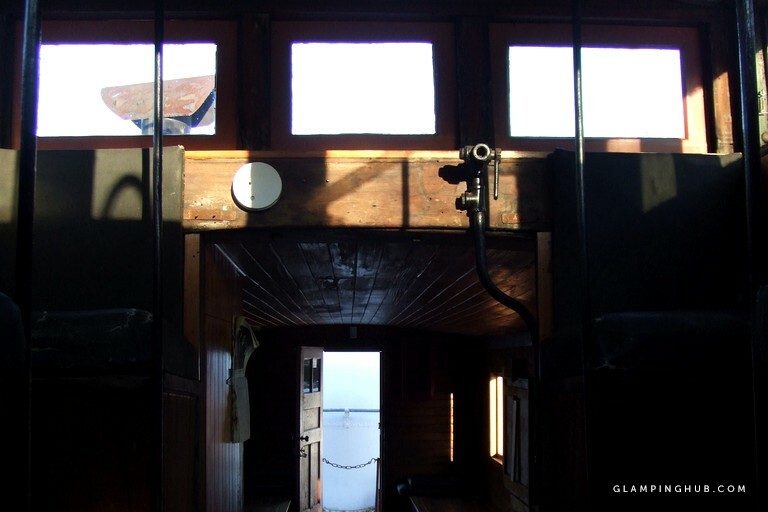 Guests can experience railway life from the 1930s from this caboose, which features wooden bunks with leather cushions for sleeping accommodations for up to four guests. 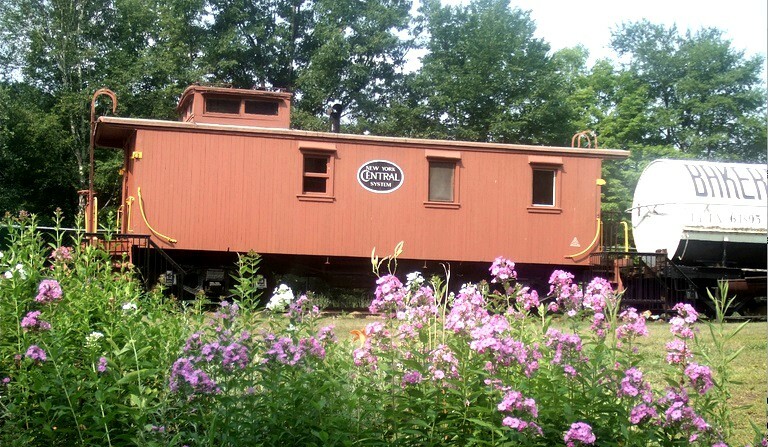 Outside, the caboose has an outdoor picnic table and a barbecue grill on the lawn. 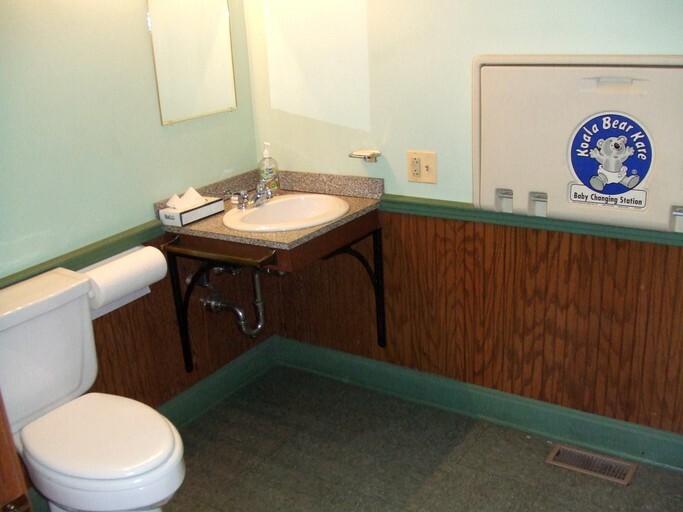 Guests have access to the bathrooms in the station, and shower facilities are two miles away at the nearby Walker Island Campground. 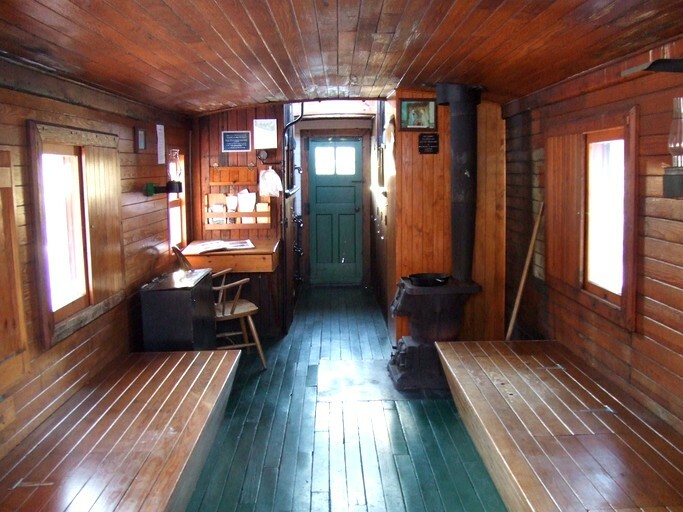 This wooden caboose provides a bathhouse for all guests that stay in the caboose. 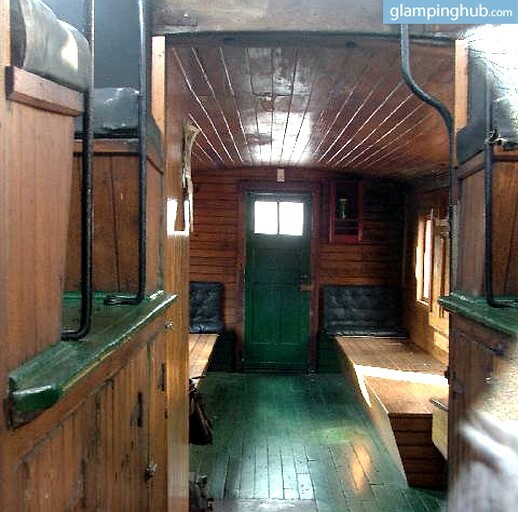 It also offers an extra kitchen caboose for rent so that families can make their own food. 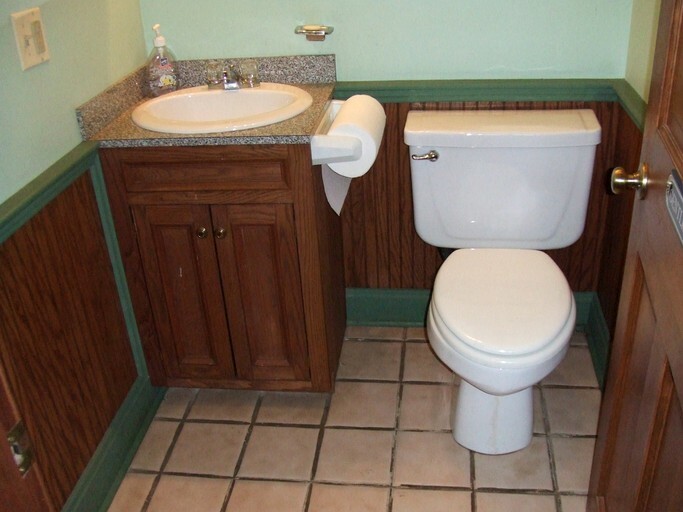 There is also a banquet room available to rent for large events. There is a catering service available to guests if they book for a specific event. The historic area has so many great shops and things to see. 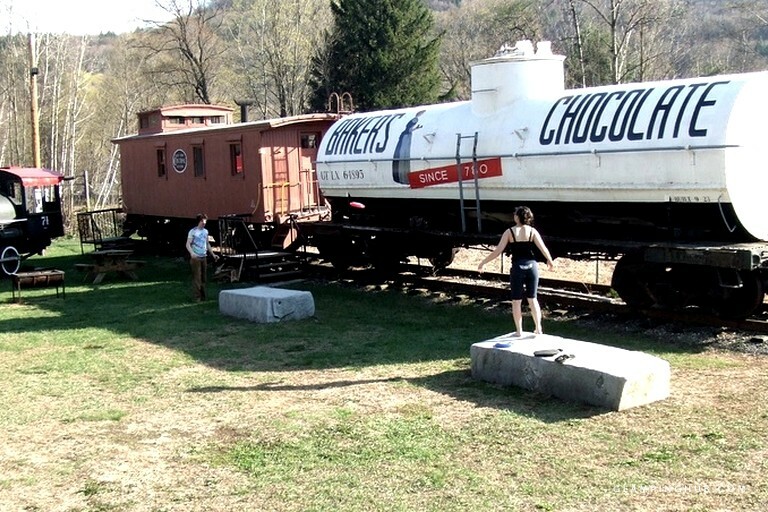 Take a walk to the famous railroad station, old jails, and the many unique art galleries. 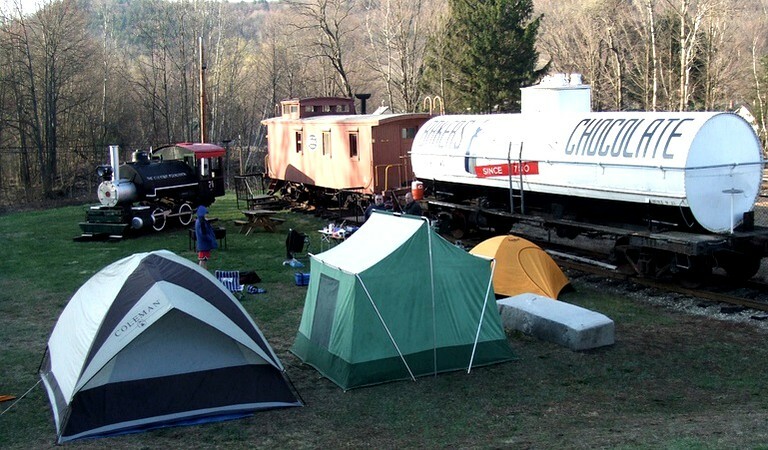 Around this glamping site guests can hike through one of the largest road-free forests in Massachusetts and see some old railroad artefacts. 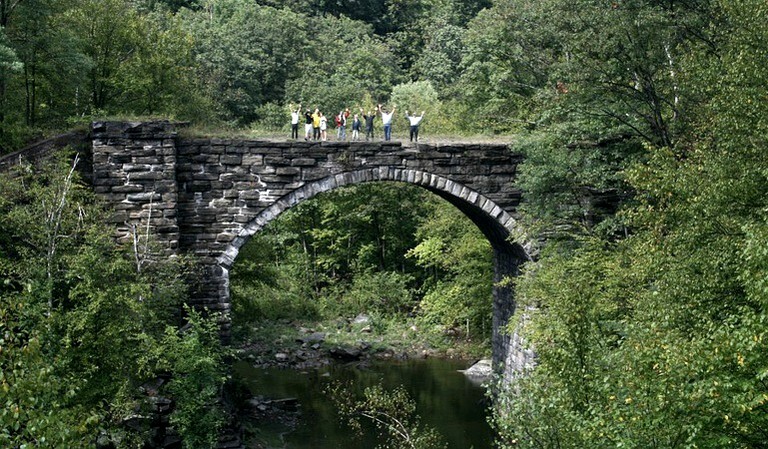 Along the path guests will discover the first ever keystone arch railroad bridges built in America! 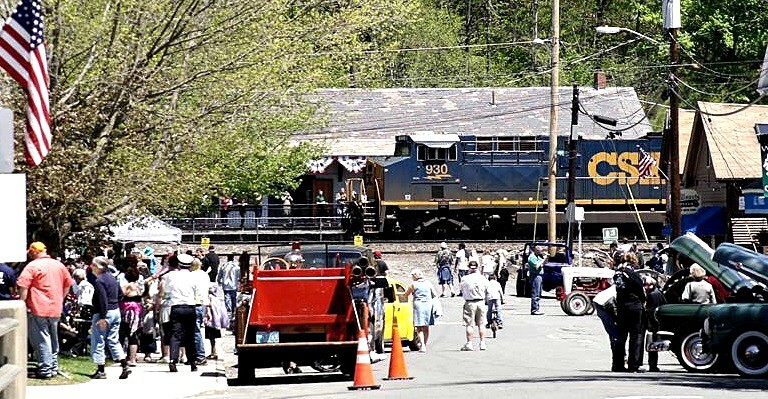 Staying in the caboose itself is certainly an experience, but by walking around the are guests will learn the history of the old railroad systems. There is also great fishing near by, and hiking opportunities. There is a discount for all guests that stay more than one night. 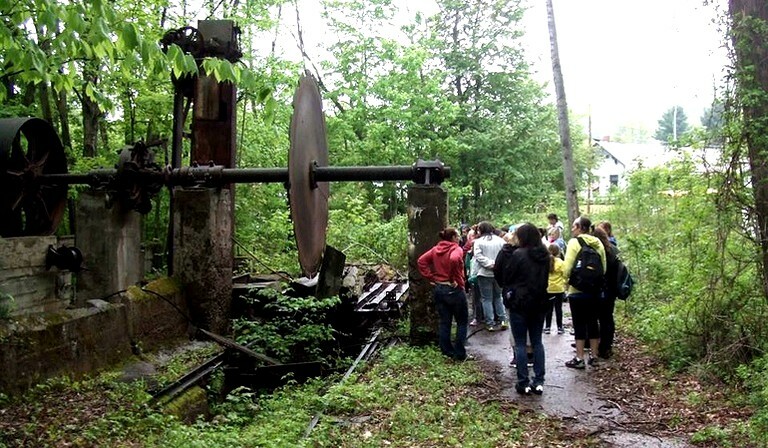 This site also holds events for guests looking for a unique and fun experience.